Cherry blossoms about to bloom! 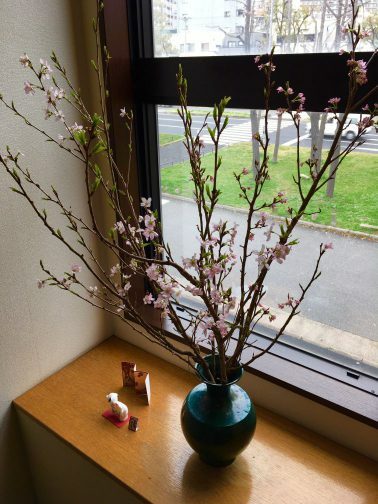 Cherry blossoms arranged in a vase at our building’s landing of the stairs. Spring is really coming! Copyright (c) 2017 TECHNOMARINE CO., LTD. All rights reserved. 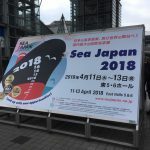 Visited “Sea Japan 2018”, a major Japanese exhibition in marine industry which was held in Tokyo from April 11[Wed] through 13[Fri]. Great to see Japan’s newest and prospective technologies!